On Friday evening, we have several entertaining events from Goat Tying to Steer Daubing, but our main event is the Mule Polo. This event is played only on Friday night in front of the grandstand. 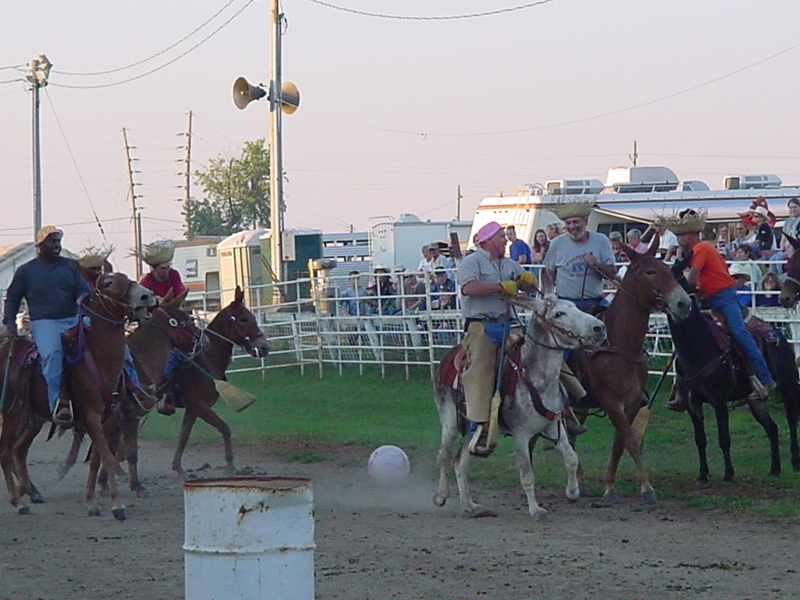 What started out as just a few people getting together to hit a ball around has turned into a great source of entertainment that kind of "kicks" off the Mule Festival. For those of you who have seen polo on tv played on horses...this is similar...kind of. Teams are divided up and sent out with hats and brooms. Teams are either "polka dots" or "straws," depending on the hat they have on. The teams must use their brooms to hit the ball into the "goal (2 barrels)" the opposing team guards. This can become rather entertaining as the mule sees a broom swinging underneath him or a large red ball land underneath his feet! 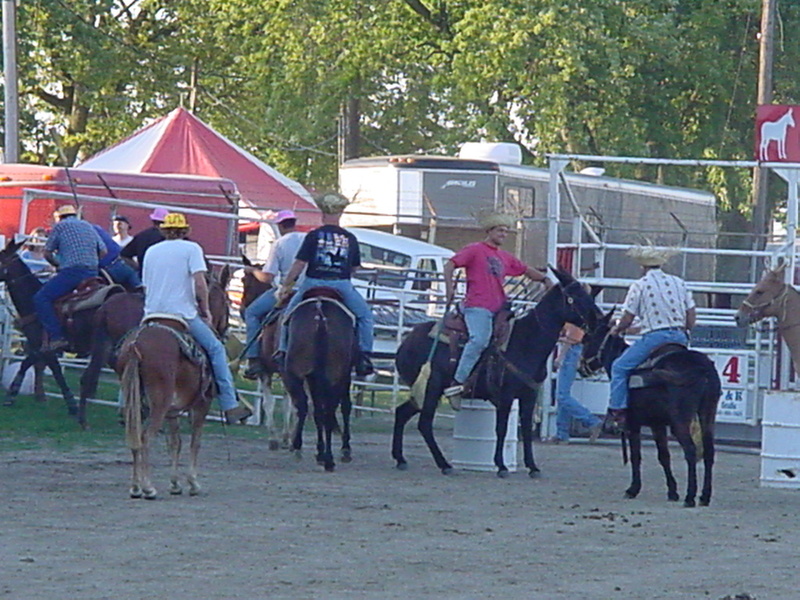 Riders beware...the umpire will call "foul" anytime you use your broom to help move your mule forward. She DOES make you apologize in front of the crowd in any way she sees fit!